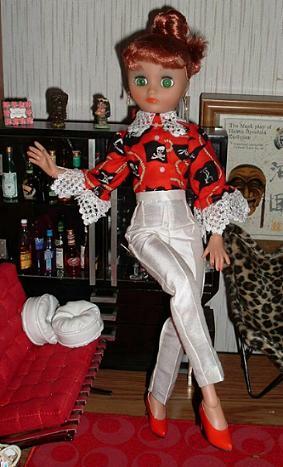 Rini is a new 14" vintage style fashion doll released by Horsman in late 2006. She is fully jointed and very similar to the smaller Dollikin made by Uneeda in 1958. 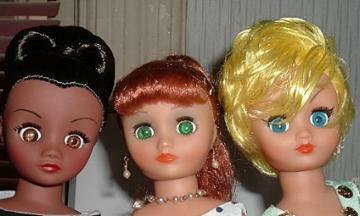 Rini comes in three hair colors, redhead, brunette and blonde, each limited to 200 dolls. 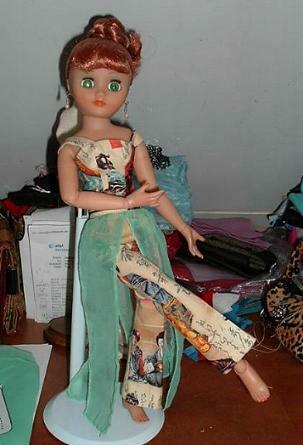 Many vintage 18" Dollikin patterns and 15" Miss Revlon patterns can be used to fit Rini. 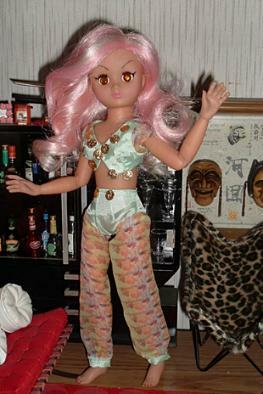 I reduce the 18" Dollikin patterns to 75% for Rini and use the 15" Miss Revlon patterns "as is". 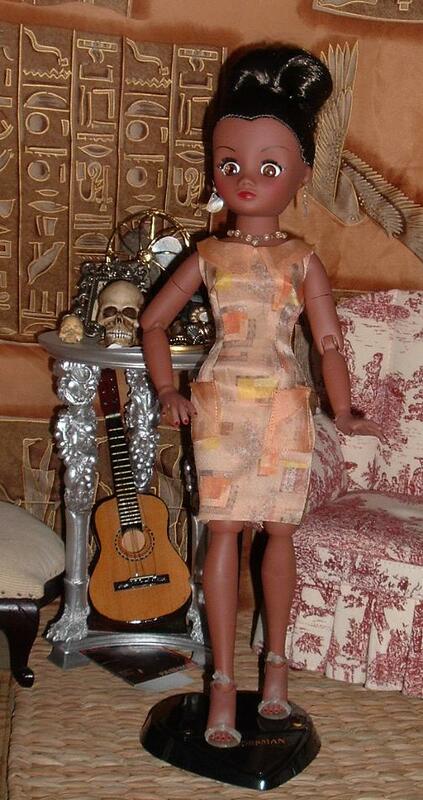 Many other patterns for smaller and larger fashion dolls can be used to make clothes for Rini, as shown in my pictures below. 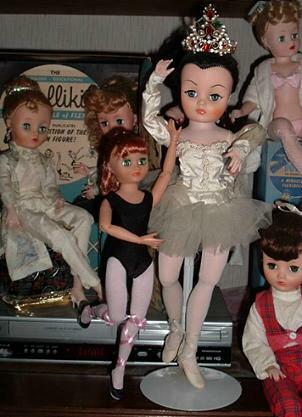 Here is Rini with some 18" Dollikin dolls from 1958. She has that wonderful vintage look! Rini wears a cocktail dress made from a 15" Revlon pattern. Rini wears a dress made from a 17" Miss 17 pattern reduced for Rini. Rini wears a suit made from a Simplicity Dollikin pattern from 1958. I reduced it to 75%. 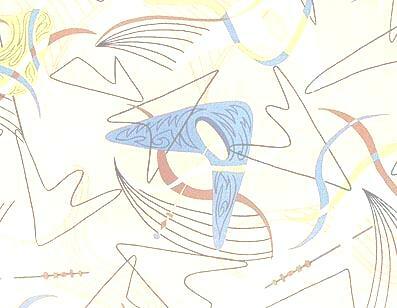 Rini wears silk underwear made from a vintage 15" Miss Revlon pattern. Rini in a slacks set from a vintage Dollikin pattern. Rini wears a swimsuit from an enlarged Tiny Kitty pattern with vintage accessories. Shoes are Hasbro "Shoezies". Rini in a lounging outfit from a Perfect Patterns Coquette 10.5" doll pattern enlarged to 128%.